If you had only three important criteria from which to find the perfect finishing touch to your living room it is best to start with the exact type, shape and color you need. Coffee tables cherry square is an excellent way to find what you are looking for without having to browse through hundreds of different options from a dozen or more websites. 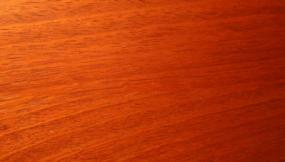 To help narrow your search see the list of coffee tables (cherry, square) options below. Perhaps one of these will strike your fancy, or at least turn you onto some new websites and stores that might have the perfect piece to finish off your living space. While this is quite the monster of a table, it is definitely an incredible centerpiece for your living space. Highly carved with Queen Ann legs that end in claw feet, all 51 square inches will be perfect for an Old World-style interior decor. Carved designs on top of the legs with a table skirt that also has ornate carvings provide support for a polished marble top. It is 51" L x 51" D x 12" H.
This fantastic, slightly rectangular coffee table is an excellent example of a very classic bi-level table. Crafted from birch and other hardwood solids with cherry and mahogany veneers, this piece features useful drawers, open shelf space and is a great price for a hearty piece of furniture. It is 23" W x 28" D x 52" H.
Broyhill makes some of the finest furnishings sold in the United States, and this Attic Heirlooms piece is a gorgeous example of their handiwork. Made from cherry wood and designed to provide a variety of ways to eliminate clutter, the three drawers can help you organize your life, and the table serves as a landing pad for magazines, food or drinks. Dimensions are 36" W x 36" D x 19" H.
Whether you are looking for a contemporary piece for a modern home or a more traditional style table for classic decor, cherry is one of the most versatile woods and colors to use. It is warm, with a slight red undertone, and works well with other deep browns, oranges, reds, yellows, golds, and even brown-toned grays, khaki, blue or eggplant. When shopping for your cherry coffee table keep in mind the size of your space. 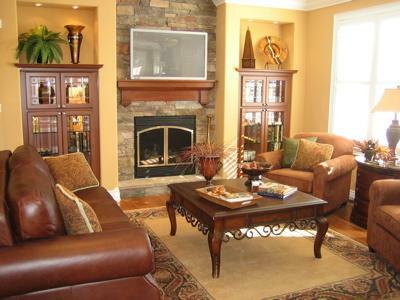 You don't want the coffee table to overwhelm the room, and make certain that it is the right size to fit your sofa. Too big makes the sofa look small and cramped, too small and the sofa can look gargantuan and overwhelming.